1. Using a Phillips screwdriver, remove the two (2) lens mounting screws and the lens. 2. 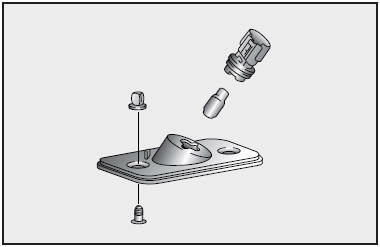 Rotate socket one-quarter turn counterclockwise and carefully pull the socket from the housing. 3. Carefully pull the bulb out of the socket. 4. Insert a new bulb in the socket. 5. Carefully insert the socket into the housing and rotate it one-quarter turn clockwise. 6. Re-install the lens and the two (2) mounting screws.